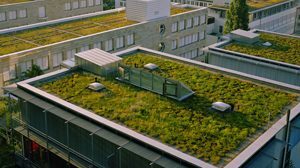 Because of the effect of global warming, people these days are trying to turn green; thus, installing green roofs is now becoming a trend especially in big cities. If you are thinking to have one installed, then make sure to find the best roofing contractor that do not only have the skills but the experience of installing this type of roofing system such as Rest Assured Roofing. Green roofs need an intricate hand to install as well as a creative mind for designing. If you leave this project to mediocre contractors, chances are you will get disappointed in the end considering that your hard earned money will just go to waste. For this reason it is essential for you to trust your project in the hands of the expert. The reason for you to trust Rest Assured Roofing for this green roof project is that our company does not only rely on the blue print our clients provide, we do ocular inspection for us to give clear and concise recommendations. In addition, our company is equipped with experienced and skilled supervisors to do site supervision for the ongoing project to ensure an excellent and quality service, not to mention the speedy accomplishment of the project. Considering that we are not doing our job on an hourly basis, our clients can save a lot of money even if the client’s green roof installation is quite complicated. On top of that our company offers warranty claims and assistance to our clients. So, pick up the phone and contact us now for more information on our green roof systems.